As I continue to look for ways to reduce plastic in my life, one that comes up are those little stickers on our produce. I avoid stickers when possible by shopping farmers’ markets, but during fall to spring, I still get lots of produce (often with stickers) from the store or food co-op. When one composts, you need to remove the sticker. Produce stickers tell us the country and often the state of origin of the food, which is important if you want to reduce your food miles. And a 5-digit code that starts with a “9” informs us it is organic. 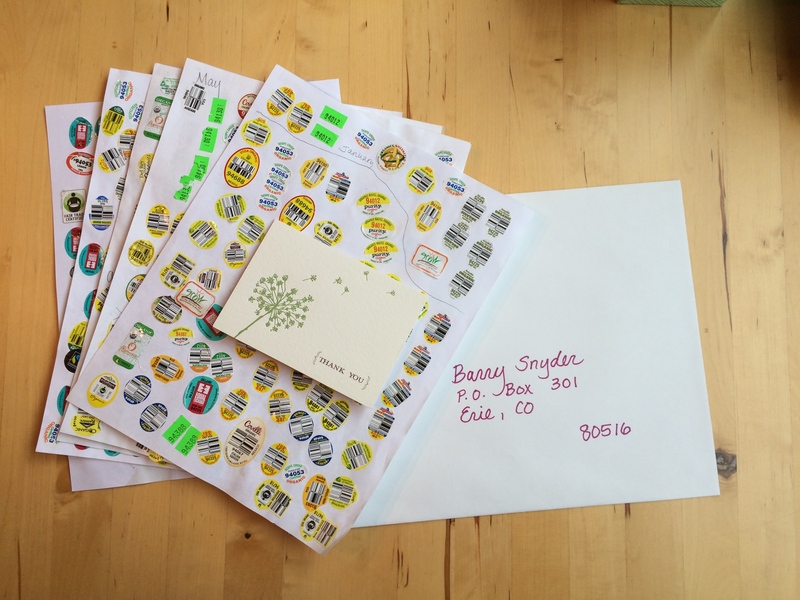 Last year I began to save my produce stickers as I heard in the book, “Plastic Free” by Beth Terry, that you can send them to a guy named Barry Snyder at Stickerman Produce Art. 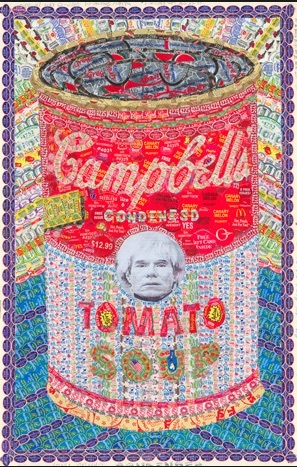 Barry uses the produce stickers to make art. 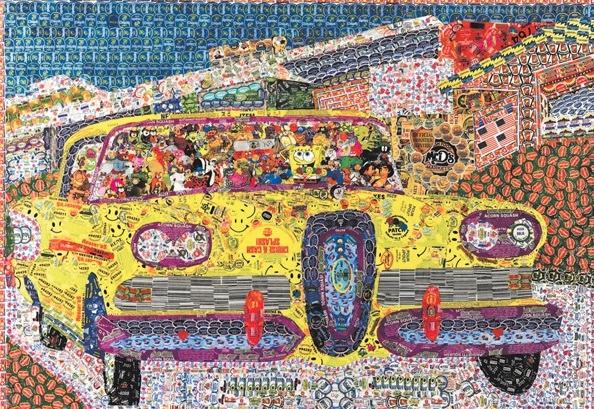 He’s a guy from Erie, Colorado, who gives these stickers a new life through his artwork, so start saving your stickers. 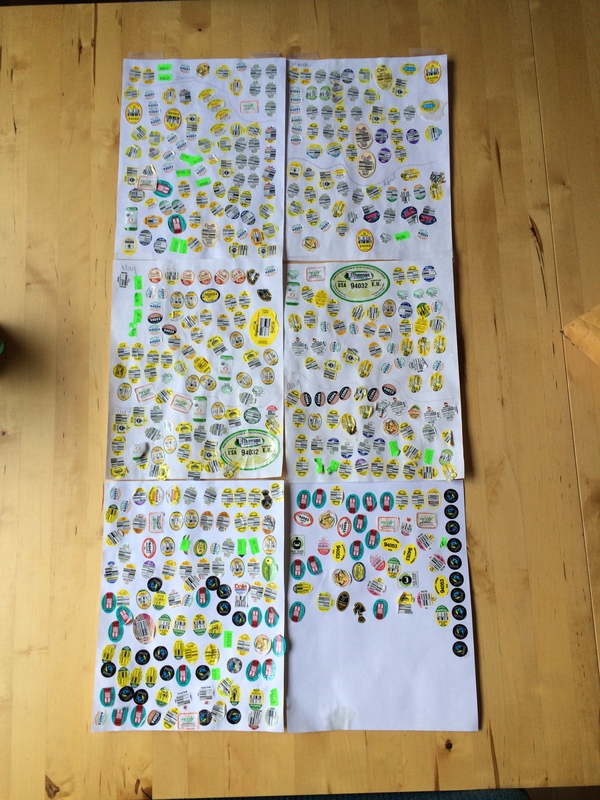 Here are my stickers from 2014 that I collected and sent on to Barry. While it’s not much, I’m glad it is being put to good use. Eco-Vegan Gal mentioned there are some new stickers coming out that are compostable, but I have yet to see them. Here are some samples of Barry’s art. If you enjoyed this blog entry, do consider “following” me via my front page so you will be notified when new blogs post. Your email is kept private and not shared. 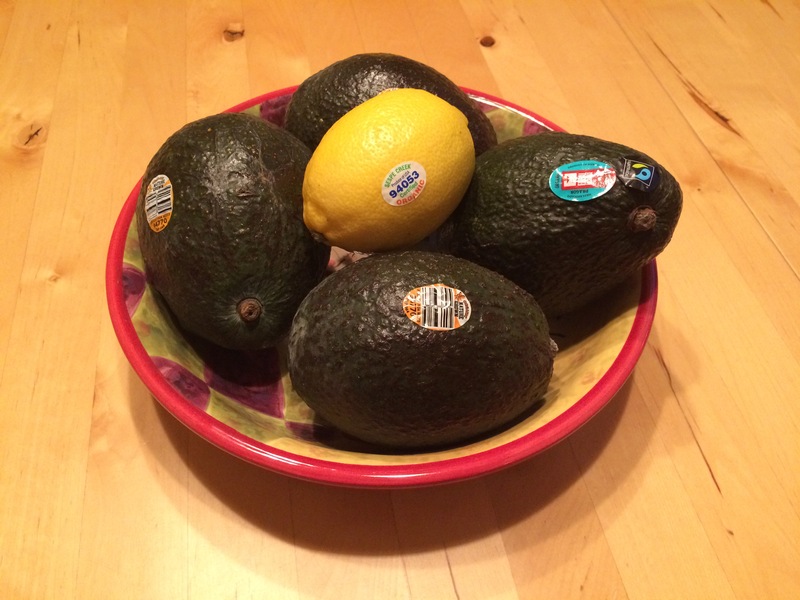 What do you do with your produce stickers? Will you be sending stickers to Barry in the future? Please answer in the comments below. But Kathy! I want to stop the production of these stickers! Billions and billions of them….every month! This is unnecessary and an environmental disaster. Yuck! Let me add, this isn’t your fault! It’s just something that bugs me. And worries me daily as I eat my fruit and vegetables. I do the same thing: http://wp.me/p4sJ3i-4W I’m saving them up until I have enough to paper a door at least. I try to shop at the farmer’s market where I can avoid these annoying stickers but occasionally I don’t make it to the market and head to the grocery store, where I might add I CANNOT find a local organic apple even though I live in California where organic farms abound(!). Thanks for sharing your journey. Sorry to hear you cannot find local organic where you live. I can find it at the farmer’s market but not so easily at the grocery store, which I try to avoid for produce. Makes me feel a bit better about those little stickers I get at the grocery store when I don’t get to the Farmer’s Market. I’ll start a sheet today. Thanks much for posting this! I was wondering what to do with the stickers. I’d also prefer not to have them on the veggies and fruits that I want to eat. I’ve signed up for a CSA box, which I really love. But many things that I would want to buy, are not in the box so I currently get them from the local grocery store. Looking forward to farmers markets here. Will save my stickers for Barry! Hey! Now maybe the kids will stop sticking these on each other! And one less little thing to go in the trash.